Do you know Pocoyo? And who doesn’t nowadays? :) Pocoyo videos are famous because they are very funny and extremely educational. They’re recommended for children older than 3 years although there are many adults who also enjoy watching them. If Pocoyo is so liked, why don’t we enjoy the episodes in English so that we can encourage children (and adults) to improve their English? 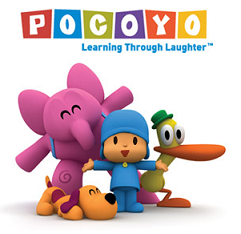 This post includes the first five episodes from the first Pocoyo season. Great Pocoyos. Enjoyed these videos. And I want to say that not only children, but Adult also can learn a lot by them. There are also some more ways to learn English properly. But I consider Language Hacking Guide is the easier way to learn.